GRETNA – An international car manufacturer is being sued by a local woman who claims the airbags in her Volkswagen Jetta malfunctioned. Caroline Harrington filed suit against Volkswagen Group of America Inc. and Progressive Insurance Company in the 24th Judicial District Court on April 2. Harrington claims she was driving westbound on Interstate 10 in her Volkswagen Jetta in Kenner when the airbag on her driver’s door and on the back of the driver’s seat deployed with seemingly no reason and without the vehicle making contact with anything. The plaintiff asserts she was able to steer the car to the side of the road after which she called Volkswagen who told her to have the car towed to the closest dealership, which was not the dealership where she bought the vehicle. Harrington alleges that diagnostic testing done at the dealership found damage o the undercarriage of her car and denied her account that the airbags deployed without any valid reason. The plaintiff claims she did not know if the damage was due to her car running into a pothole or if it was caused by the tow truck. 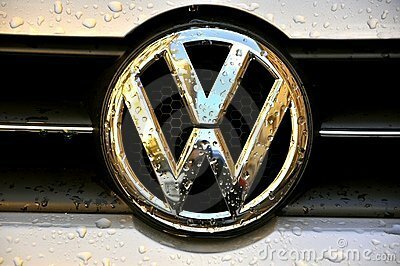 Harrington asserts that after she questioned the dealership a diagnostic expert flew in from Volkswagen headquarters who agreed with the dealership’s findings. However, the plaintiff alleges that the defendant has known for years that the 2002-2004 Volkswagen Jetta is known for having airbags that prematurely deploy and that there were several previously recorded incidents that had occurred. The defendant is accused of failing to timely and properly notify the plaintiff of a recall to repair the airbags, failing to notify the system was defective, failing to design and manufacture the vehicle to be free from defects and failing to warn the airbags could prematurely deploy and cause injury. An unspecified amount in damages is sought for pain and suffering, mental anguish, loss of enjoyment of life, loss of earnings, loss of use of vehicle, towing expenses, repairs costs to vehicle, attorney fees and all recoverable court costs. Harrington is represented by Stephen M. Huber of New Orleans-based Huber, Slack, Houghtaling, Pandit & Thomas LLP and David D. Bravo of New Orleans-based Bravo Law Firm.